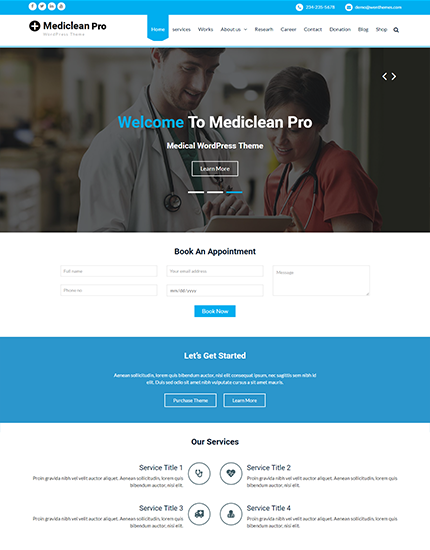 Mediclean Pro is a clean but aesthetic, simple but appealing WordPress Theme created for medical or health related websites. It has responsive layout with a beautiful slider and a wide range of elements/features specially created for medical related sites. It is maintained in minimal and modern style, bringing the well-defined content in the focus of the visitor’s attention. 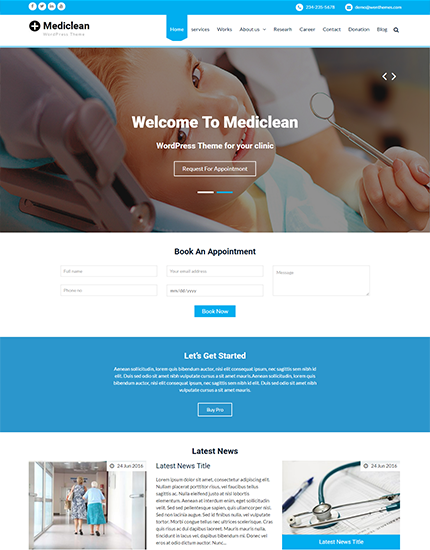 Attractive design, pleasant to the eye color scheme and great functionality make this theme perfectly suitable either for medical or business websites.